The philanthropic wine company Proud Pour has to-date donated more than $6,500 to the Oyster Recovery Partnership (ORP), the leading nonprofit working to rebuild the Chesapeake Bay’s native oyster population. 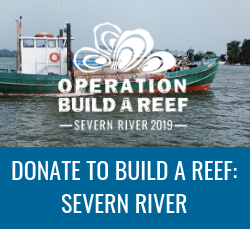 Donations from the ongoing partnership have enabled the organization to plant approximately 650,000 spat on shell, or baby oysters, on protected oyster reefs in Maryland waters. “We’re fortunate to have a partner like Proud Pour who not only provide the financial support to help us meet our recovery goals, but also raise public awareness on the important role oysters play in the Bay’s ecologic and economic recovery,” said ORP Executive Director Stephan Abel. Oysters are a critical species to the Bay’s long-term recovery because they filter excess nutrients and serve as habitat for a multitude of marine life. The sale of every bottle of Proud Pour Sauvignon Blanc funds the planting of 100 oysters in local waters, providing a fun and easy way for the public to support clean water projects. 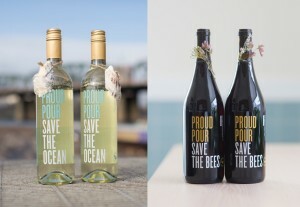 Proud Pour’s sustainably grown wines fund oyster reef and bee habitat restoration in 20 states, and next year they plan to add more wines to their lineup, along with a beer to protect sea turtles. In Maryland, their wines are distributed by Pipe Creek Wines, and can be located through proudpour.com, which includes a map of the Maryland shops and restaurants where the wines are sold. Using the latest in innovation in science, the Oyster Recovery Partnership works collaboratively with its restoration partners to produce spat on shell and deploy the resulting juvenile oysters onto strategically-selected sites in the Chesapeake Bay. These efforts aim to bolster oyster populations, assist oyster farmers in a production, support the wild fishery harvests and re-create large, healthy reefs last seen 50 to 100 years ago. Over the past two decades, the Oyster Recovery Partnership has planted nearly 8 billion oysters on 2,460 underwater acres throughout Maryland. Learn more at oysterrecovery.org.